Unlock more value from your contacts by finding their social media profiles. People post life events on social media that provide you with the best time and context to reach out. Use Facebook's Custom Audiences for laser-targeted social campaigns at a fraction of the cost. You’ll need to get creative with social media marketing if you want to squeeze the maximum value from your contacts. That much should be obvious to most agents. Using social media marketing is not just about running campaigns or getting Facebook likes, it’s about taking advantage of data — from your contacts or your leads — to make sales and smarter marketing campaigns. Social media marketing is about using data from your contacts and leads to work smarter. Social media is an excellent sales tool because it allows you to network with many people whom you normally wouldn’t have the chance to reach. It’s also a convenient way to keep up with your contacts and prevent them from forgetting about you. Expanding your network and staying in touch with your existing contacts through social media helps you squeeze more value, sales and referrals from them. The key to your social media marketing strategy is having the right information at hand. This means knowing your contacts’ social profiles, emails, demographics, etc. The key to your social media strategy: identifying user profiles. So how do you get this info? There are plenty of services such as Clearbit, Rapportive or Pipl (the company I work for) that will find this information for you. These services can take an email address or, depending on the company you choose, a name or phone number and find a person’s social media profiles, mailing address, job title and more. Examples of the types of data returned by Clearbit, Rapportive and Pipl, respectively. Major life events such as moving, the birth of a baby or changing jobs present a perfect time for an agent to reach out to someone. A great example from The Wall Street Journal was how one listing agent generated leads by targeting people whose kids are moving out with an ad offering home value estimates. Create Twitter lists for an easy way to manage your contacts on Twitter. You can create multiple lists like “most likely to sell” or “looking for a new job” to make it easier to spot life events. Connect with your contacts on LinkedIn. When a contact gets a new job, LinkedIn will automatically send you an email. Connect on Facebook, and look out for life events in your timeline. Run ads on Facebook targeting people you know who have had specific life events. Use a third-party service for tracking. Time your outreach — only talk to people when it’s relevant. Personalize your messaging — when you get in touch or run an ad, your message will be on point. I’ve come across one smart and successful moving company that searches social media and real estate sites for people putting their homes up for sale and then reaches out to them (usually through email) to offer moving services. Facebook offers a nifty feature for laser-targeted ad campaigns called Custom Audiences. A Custom Audience is a list of people you upload to Facebook’s ad manager comprised of email addresses, phone numbers, mobile IDs or app users. When you run an ad campaign on Facebook, you can display the campaign to your Custom Audience only and limit the ad spend to specific people. This option is typically less expensive than implementing a non-targeted strategy. According to Marketing Land, Marin Software has reported that using Facebook’s Custom Audience feature can save 64 percent on advertising costs per conversion. It’s a great way to create highly targeted advertisements with relevant messages. Target people who have visited your website, which likely means they have some sort of interest in your services. Export LinkedIn contacts with their email addresses. Work email addresses, which will comprise much of your exported list, aren’t likely to be included in a Facebook Custom Audience, so use a data append service to find the corresponding personal email addresses that should have a higher hit rate for Facebook. Export Twitter followers — use a data service like the ones mentioned above to find your followers’ email addresses or phone numbers that can then be uploaded to Facebook as a Custom Audience. Just make sure you abide by Facebook’s terms. Upload your mailing lists for newsletters from address books, correspondence, phone books, etc. Try to get new sales by sending people to your listings. Run ads offering rewards for referring a new client. Build your mailing list or social media following by sharing useful content. 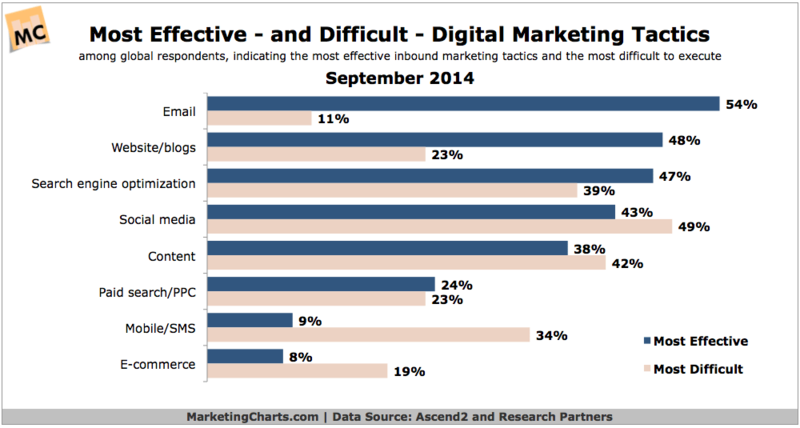 According to MarketingCharts, email is still the most effective and easiest form of digital marketing — why not take advantage of it? Using big data, you can find your social media followers’ email addresses to run more effective email campaigns. Just make sure you email people you have a genuine relationship with — don’t spam! Make sure you email people you have a genuine relationship with — don’t spam! Convert your contacts’ offline information such as names and addresses or phone numbers to social media profiles. You can do this through a data append, people search or by manual investigation because it’s not as difficult as you might think for smaller lists. Once you have your contacts’ social profiles, you can start trying all of the marketing and sales tactics mentioned above. Social media marketing offers a lot potential once you start getting creative. Some of the things mentioned in this post are pretty sophisticated marketing techniques, but not too hard for even the non-technical among us to pull off. If you would like some tips on using data to improve your social marketing and sales, feel free to contact me. Billy Attar is the head of marketing at Pipl. He’s addicted to marketing, everything tech and coffee. You can catch up with me on Twitter at @billyattar or LinkedIn.